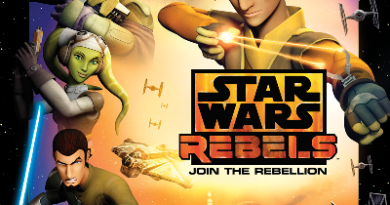 When I heard Ben Acker and Ben Blacker were writing a Star Wars book, I did a double take. Surely there couldn’t be two writing teams of Bens with rhyming last names. And so it meant the writers behind one of my favorite podcasts, “The Thrilling Adventure Hour”, were crossing over into one of my favorite franchises. If you’ve also been a long-time fan of the show described as a new-time podcast in the style of old-time radio, leave those associated expectations at the door. 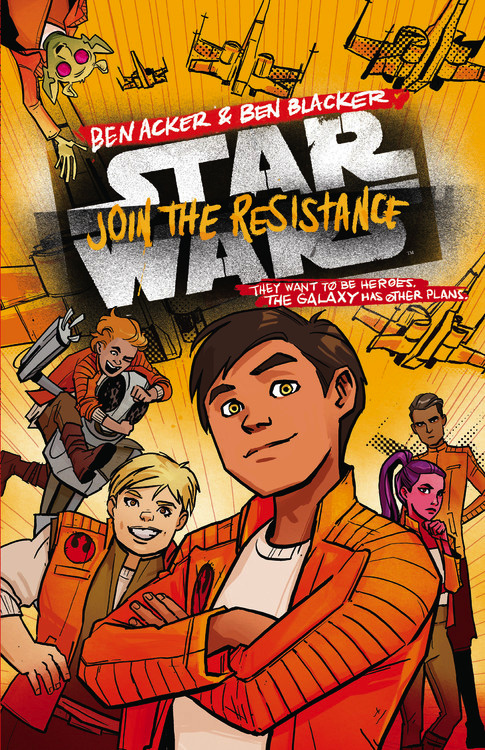 Star Wars: Join the Resistance Book #1 would probably be more entertaining if performed by adults playing kids like on the podcast; this tale however has a differing niche appeal. Acker and Blacker take a rag-tag ensemble of standard teen characters, recruit them into Leia’s Resistance some time before the events of The Force Awakens, and then get them into trouble so they can learn something. 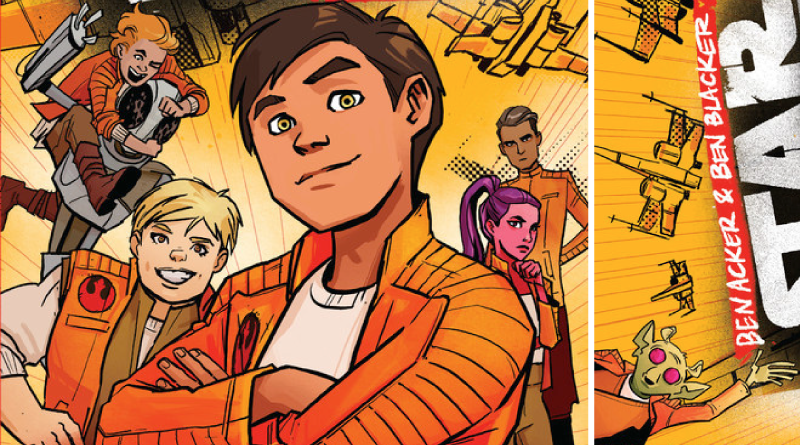 Five boys (including one droid) and two girls all seem to have their hearts in the right place, but that didn’t stop me from feeling like they were nearly all too immature to have any idea what they were really getting into. Mattis, the main character whose perspective the entire story is from, seemed the sweetest but also the most lost. It’s probably not enough to concern most kids though, who’ll probably find themselves wondering what it’d be like if they joined the team. Although there are cameos from older characters, Join is really a kid-only adventure. 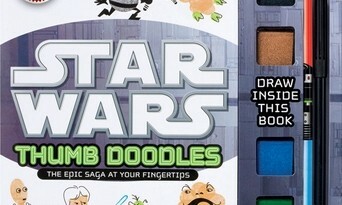 As we’ve seen with a couple other books the authors’ excitement about writing Star Wars shows through just how much Star Wars stuff they manage to cram in. Where JtR #1 stands out though is its instance to make sure characters are more dimensional than their stereotypes would suggest. Having the physically strongest character also possibly be the smartest, not to mention female, is appreciated too. This book is recommended for ages 10 and up. 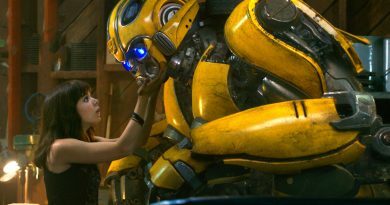 With the exception of a peppering of bigger, less common words, some members of the teenage set might find the writing too simplistic. The layered humor and cleverness I’ve enjoyed in Acker and Blacker’s writing for The Thrilling Adventure Hour unfortunately doesn’t have a presence here. Annie Wu’s illustrations are a nice touch though. And while it might be fun to read this along with a kid, most adults probably won’t get much out of this on their own. 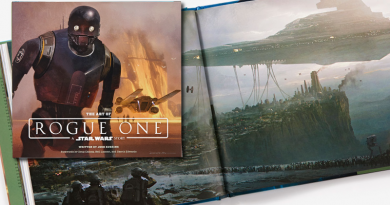 If you’re a reader looking for clues or major reveals related to the events of the sequel trilogy especially, you’ll have to look elsewhere – or in Book #2 when it comes out later this year.